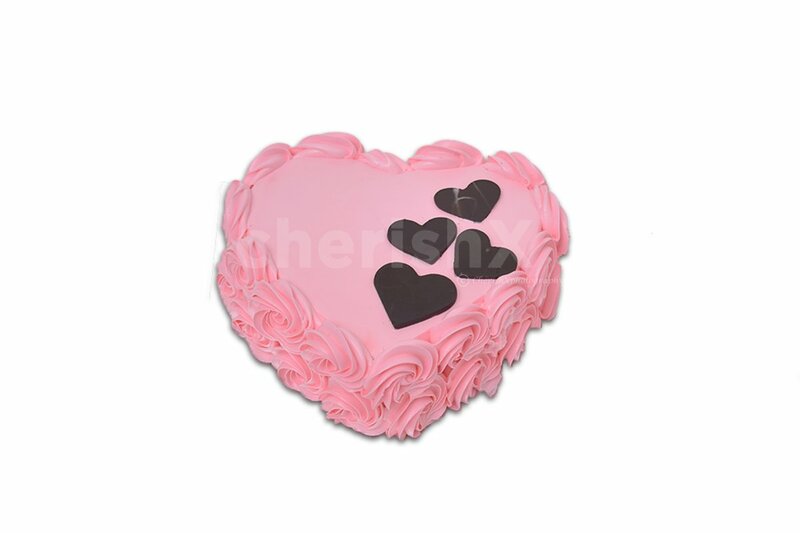 A heart-shaped lite chocolate cake in pink. 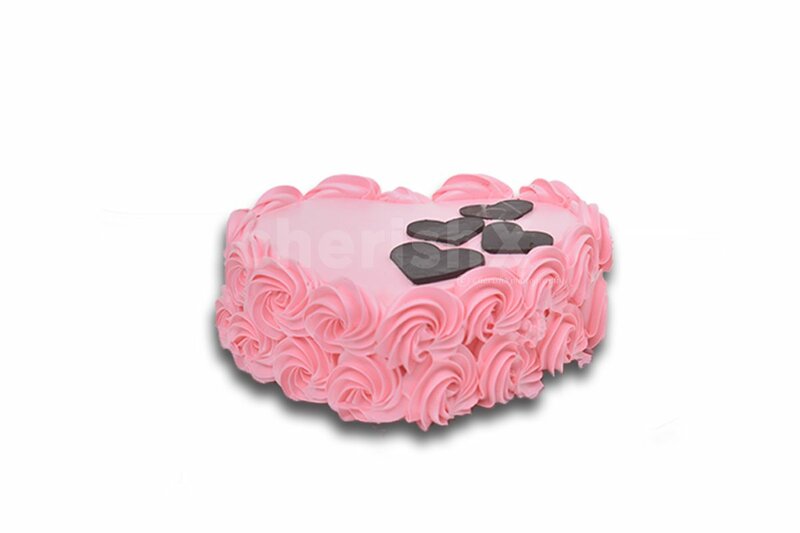 Celebrate all your special occasions with this lite chocolate cake in pink. Suitable if you are not fond of the deep chocolate flavour.It’s a beautiful to look at yet delicious heart shaped chocolate cake. Slice the serving of love with this beautiful soft pink heart shaped cake.The cake is baked fresh & is topped with pink coloured buttercream. With little chocolate heart decorations on top. The base of the cake is made up of sponge cake.Basic ingredients which result in this delectable dessert are butter, flour, sugar, cocoa powder & butter cream icing. In case fish dies within 3 days of delivery date, replacement will be done within 48 hours of your complaint. No replacement after 3 days.